No matter who you are, where you live or how old you are, if you’re a Disney fan, you probably have a favorite Disney character. Maybe it’s one of the Disney princesses. Or maybe it’s one of the many animal sidekicks from a Disney movie. With Disney, it could be anything from a fish to a monster to an emotion to a woodland creature. The list goes on. And if we’re all honest, we probably each have a favorite Disney villain too—that one villain who we love to hate or hate to love. (I mean, Maleficent can turn into a dragon, and she’s got a really pretty speaking voice too.) And if you’ll be visiting Disney World soon and you love one or more of the Disney villains, you’ll be happy to know that you’ll have no trouble getting your “fix” while you visit the parks. Here are eight ways to do just that! 8. Sample LeFou’s Brew at Gaston’s Tavern. In Fantasyland at Magic Kingdom, you can hone in on your inner villain by visiting Gaston’s Tavern. The tavern was inspired by the one depicted in Disney’s Beauty and the Beast. They serve drinks and snacks—namely an enormous cinnamon roll that is out of this world and a drink with character—Le Fou’s Brew. You’ll remember Le Fou is Gaston’s sidekick who always has something “encouraging” to say to Gaston. Le Fou’s brew is no-sugar added frozen apple juice with a touch of toasted marshmallow flavor. It’s then topped with mango foam. It may sound a little odd, but it’s actually very good—and a good way to get your villain (and villain’s sidekick) fix at Disney! 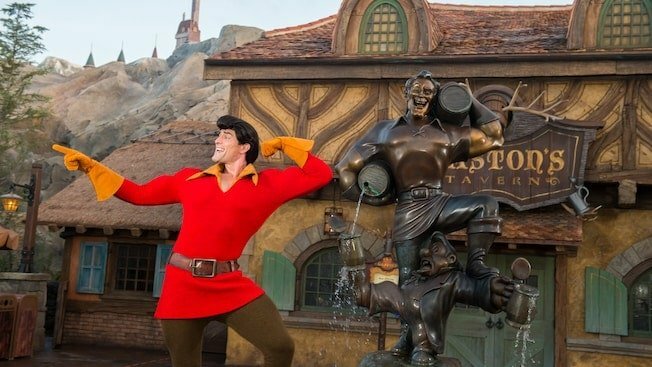 After you try Le Fou’s Brew, step outside the tavern and you’ll see a line forming to meet Gaston. 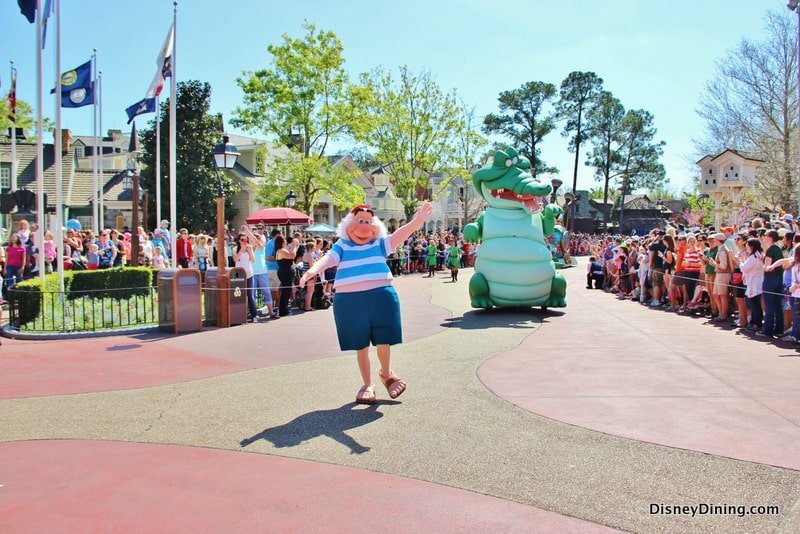 This is one of the most interesting character encounters you can have at Magic Kingdom. Gaston is big and burly and arrogant to boot! And if you’ve got a villain fix bucket list, meeting Gaston should definitely be on it! 6. Meet Lady Tremaine and Cinderella’s evil stepsisters. Book dinner at the Grand Floridian’s 1900 Park Fare restaurant and enjoy the esteemed honor of meeting Cinderella’s stepmother, Lady Tremaine, as well as her two evil stepsisters, Anastasia and Drizella. Dinner is the only time you can meet these villains at 1900 Park Fare. It’s possible from time to time to meet them in Fantasyland at Magic Kingdom, but it’s not an everyday occurrence, so 1900 Park Fare is your best bet for getting your villain fix Cinderella-style. 5. See the old hag from Snow White and the Seven Dwarfs. In 2014, the Seven Dwarfs Mine Train opened to the public, and to this day, it’s still hard to score a FastPass+ time for the attraction during peak seasons in the parks—it’s that popular. And for good reason! The attraction is very well-designed, and you’ll think you’ve jumped right into the Snow White and the Seven Dwarfs movie. That’s because the props, sets and audio-animatronic versions of Snow White and the dwarfs are very realistic. And if you’re looking to get your villain fix here, it’s there to be had. Toward the very end of the ride, there’s another very realistic character from the movie—the Evil Queen, as an old hag. She’s waiting at the door to the seven dwarfs’ cottage where Snow White is. Will Snow White answer the door? Will the Evil Queen get to give Snow White the poisoned apple? Be sure to get your FastPass+ time for this ride in advance so you can find out! One of the best nighttime spectaculars at the Walt Disney World Resort is Fantasmic! at Disney’s Hollywood Studios. During this amazing production, we get to have a glimpse into Mickey’s dream, which includes scenes from many of Disney’s most beloved films, including Beauty and the Beast, Sleeping Beauty, The Lion King and more. But that dream turns into a nightmare, and Mickey is caught with an imagination that has run away with him. The scariest parts of his nightmare include many of the Disney villains, such as Jafar, Ursula, Scar, Cruella de Vil, Hades and more. Then Mickey must battle a 40-foot tall Maleficent in her fire-breathing dragon form. Fantasmic! 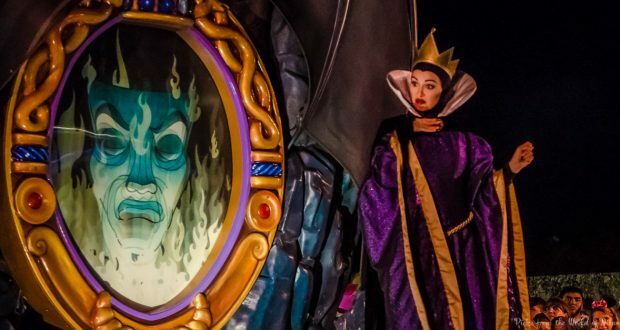 is a proverbial buffet of villains and sheer nirvana for Guests seeking to get their villain fix at Disney World. 3. See the Festival of Fantasy parade. Every afternoon at Magic Kingdom, weather permitting, Guests can see the Festival of Fantasy parade. It’s a beautiful production of colors, costumes, pageantry and almost every character from Disney’s classic films. That includes several villains! See Captain Hook and Tick-Tock Croc. This is one of Disney’s best parades and a great way to get your villain fix! 2. Test your laser skills against Emperor Zurg. In Tomorrowland at Magic Kingdom, you can not only get your villain fix, but test your laser shooting skills against a villain! In the Buzz Lightyear’s Space Ranger Spin attraction, you and your best buds board a spaceship and embark on a journey through space where you can “shoot” lasers at all sorts of targets, and one of the largest targets is Emperor Zurg—the arch enemy of Buzz Lightyear. If you’re skilled enough, you can aim for certain targets near Zurg that will reward you with 100,000 points. When you are facing Zurg and his spaceship that looks like a claw, aim for the “Z” at the bottom of the ship under the “pitiful” taunt and earn 100,000 points for each hit. 1. Hang out at Mickey’s Not So Scary Halloween Party. On certain nights in August, September and October each year, Guests can purchase tickets (in addition to park admission) to join Mickey’s Not So Scary Halloween Party. Imagine the biggest bunch of trick-or-treaters in the most magical place on earth—it’s a blast! 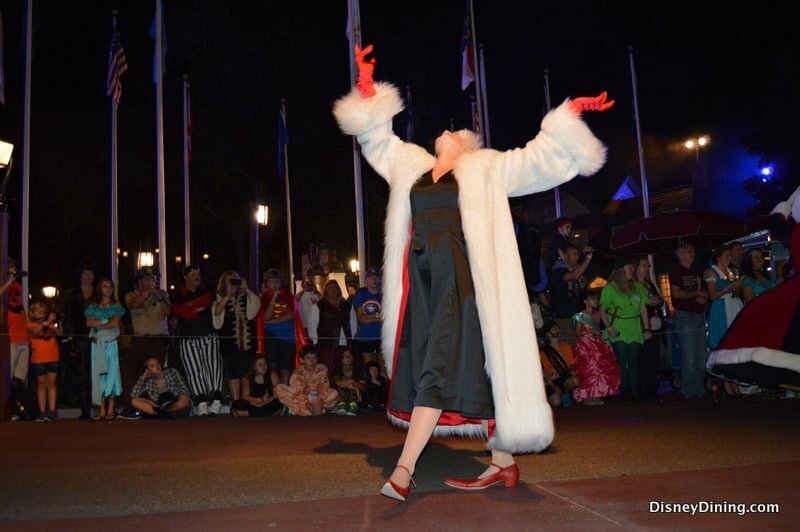 And if you love your Disney villains, you’ll love this party! During the Hocus Pocus Villain Spectacular, you can see villains you wouldn’t otherwise see like Dr. Facilier from Disney’s Princess and the Frog, Oogie Boogie from The Nightmare Before Christmas and Maleficent herself, among others. Advance tickets for this event can be purchased at disneyworld.disney.go.com. Get yours early because they tend to sell out!